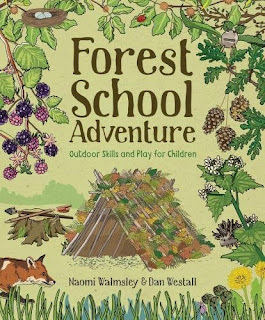 "Forest School Adventure" by Naomi Walmsley and Dan Westall gathers together a ton of knowledge and experience from Naomi and Dan's own adventures in the great outdoors. After cropping up as cave-people on Chris Evans' "Great Job Wednesday" slot on Radio 2, Naomi and Dan were approached to come up with a book that would serve as a fantastic outdoor manual for parents and kids who want to try all those awesome things themselves, from lighting a fire without matches to designing a comfy den or bivouac to sleep in overnight. The book also covers safe items to forage and eat, and a whole ton of different craft ideas for when you are out and about in your favourite green spaces. We wholeheartedly endorse the idea of getting out into the countryside or the woods, it's something we all do regularly as a family and C also goes to Guides and outdoor summer camps - and learns loads more about bushcraft skills through those. But this is such a brilliant book to dip into for new ideas, wildlife to watch out for and fun things to play and do. 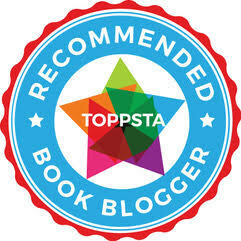 Watch Naomi and Dan's trailer below to get more of a feel for what the book offers.